Welcome to the CFO Equation! Senior Financial Expertise at Part-time Rates. Claudine François is a Chief Financial Officer who leverages 15 years of corporate and international financial management experience to help companies clarify their financial picture, strategize for ongoing financial health, and grow their businesses based on a strong foundation and a solid plan for success. 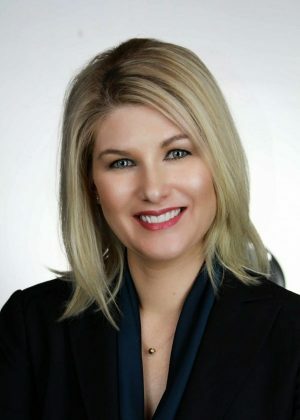 She has a unique ability to connect the dots between strategy and execution – using her skills to help companies save money, increase profitability, and streamline operations so that they can grow efficiently, foster innovation, and remain competitive. To highlight her most recent career position as Chief Financial Officer for AMC Direct – a global fruit procurement company – Claudine oversaw operations in Chile, Canada, and the US and helped manage transactions from Latin America to South Africa and Asia. At AMC, she served as a senior management advisor, working with the CEO and upper level management to determine strategy for development and innovation. She also worked with the oversees finance teams for seven AMC companies in three countries to help optimize operations focused on the growing, packing, and shipping of fresh produce.During her stay at AMC, Claudine implemented cost control reductions that cut year-on-year expenses by $2 million. As a Controller for the Enterprise Holdings group – the largest rental car company in North America – Claudine helped managed a region of approximately 250 employees, 40 branches and a fleet of 5,000 vehicles. At Enterprise, she helped senior management to drive financial performance by identifying opportunities and risks and advising the business on profitable courses of action. As part of her responsibilities, she conducted regional financial reviews, analyzed and monitored financial results, and prepared annual financial reports and forecasts. She also assessed key areas of the business for operational non-compliance and made key recommendations to better align operational realities on the ground with overall corporate strategy and goals. For customers of The CFO Equation today, Claudine brings all of this experience to bear – mixing board-level consulting to help develop corporate strategy with on-the-ground operational expertise to put strategy into action. With professional experience that spans industries and business areas such as transportation, retail, financial management, procurement, logistics, business operations, and much more, Claudine serves customers in northern California not only with pride – but also with results that help companies grow. Claudine received her undergraduate education from California State University, Fullerton and her accounting education from the University of California, Los Angeles. The CFO Equation provides expert, scalable financial services for growing companies. Contact us today.